10AM Parish Eucharist with hymns, sermon, and Junior Church for the children. 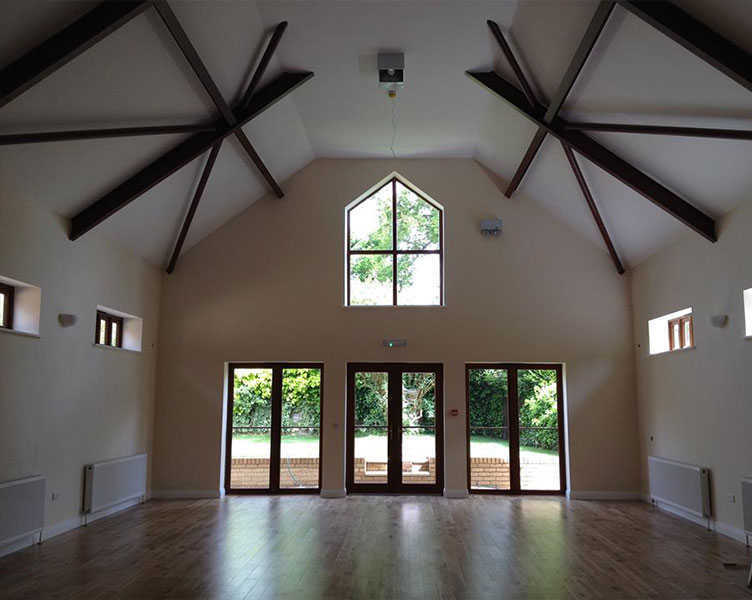 During the week the hall hosts pilates, fitness, folk dance, Zumba and Yoga (baby and adult). On Fridays (except for the last Friday in the month) the Alzheimer's Society meets between 11am and 1pm - all are welcome, and you can take part in activities or just have a cup of tea and relax. A dementia support worker will be on hand to provide information. It is also available to hire for family parties and other events. For further information about the hall and bookings please contact our Hall Manager Mr Will Sheldon on 0208 360 6496 or by e-mail at stpetershallbooking@gmail.com Calls will only be answered between 9.30 am and 12.30 pm on MONDAYS and WEDNESDAYS. St Peter’s Grange Park is committed to safeguarding children, young people and vulnerable adults.